Icing International has created an ambitious plan to develop a world class manufacturing facility and showcase for its Manuka honey brand “Richora”. 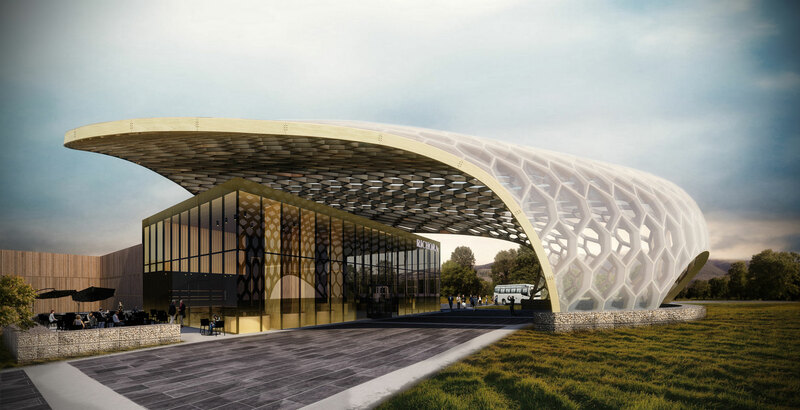 Located on Ngongotaha Road, the main northern arterial route into Rotorua, the completed master plan by DCA Architects will be a spectacular welcome to Rotorua for tourists and visitors. The first stage of the development is under way with local contractors Ronayne Construction awarded the contract. Stage one encompasses the extending and refurbishment of an existing building into the manufacturing facility for Manuka honey. Stage two of the master plan will have warehousing and further manufacturing for Richora’s offerings of Manuka honey inspired health and medical product ranges. Up front will be a VIP retail experience, with a theatre and restaurant wrapped in a breathtaking design statement which will be hard to miss. Stage three completes the master plan with the completion of an E-Commerce Centre building design inspired by the myths and legends of New Zealand. Look out for further updates.